New images brought to light by Oracles’s court case against Google indicate that Android was merely a clone of BlackBerry phones before the iPhone showed up. 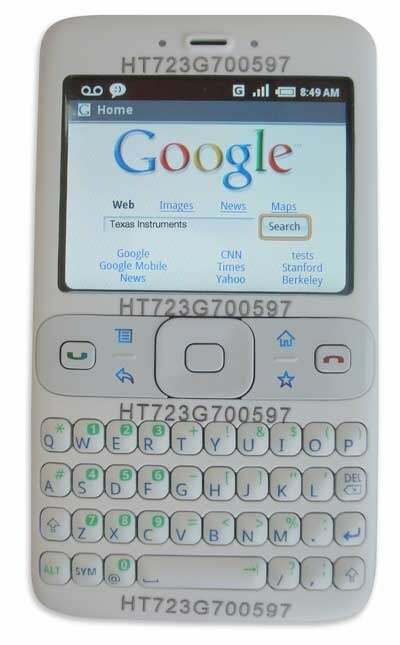 The images show Google’s original intent in 2006 to introduce a phone with a BlackBerry-like keyboard and screen, one of the popular smartphones at the time. Google didn’t plan for its smartphone to have touchscreens initially, according to the documents detailed by The Verge, and would have featured average specs for phones back in 2006, including a 200MHz processor, 64MB of RAM, a 2-megapixel camera and a miniSD slot for external storage. Higher-end models would have had Bluetooth 2.0, GPS and Wi-Fi connectivity. Another set of images taken in 2006 and 2007 revealed from Oracle’s lawsuit against Google over its use of Java in Android shows user interface elements that can be operated with a directional pad alone. Oracle is alleging Google copied code from Java when building Android. Then, in early 2008, Google showed an Android prototype that could be operated with a touchscreen, but still had a BlackBerry form factor and buttons. Only later that year Google showed what was to become the T-Mobile G1, the first Android phone. Even in October 2008, with a full touchscreen interface, you had to flip the keyboard out to type text, as a soft keyboard for Android came with version 1.5 in 2009. From here on, the rest is history, as Eric Schmidt, then chief executive of Google, resigned from Apple's board of directors, where he has been sitting since 2006, due to overlapping interests between the two companies, and Android’s meteoric rise to dominate the smartphone market. 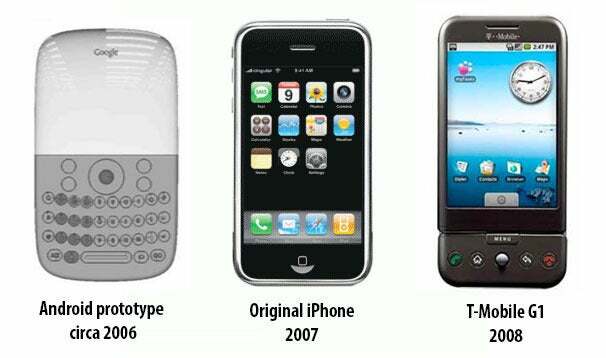 Later Apple started suing Android manufacturers for “slavishly copying” the iPhone, but it has yet to sue Google itself.